Mr Koya has an intimate knowledge of land development in Fiji and the issues that need to be addressed to ensure a quality product is delivered to investors. 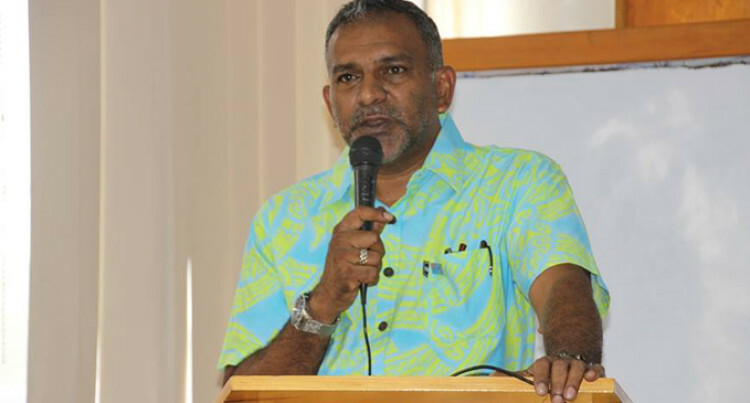 Acting CEO for Denarau Waters, Faiyaz Koya. Faiyaz Koya is the new acting chief executive officer of Dena­rau Waters. Ananth Reddy, the major share­holder of Avoser Limited, the par­ent company of Denarau Waters Pte Limited announced this yester­day. The company is undertaking the development of a major integrated resort at Denarau. The resort development currently has just over 1,000 lots including resi­dential, commercial and hotel lots. All lots in the first stage are sold, and work is proceeding on the other areas. Mr Reddy said that the company had been looking for a person with all the skills to take control of this large development and move it for­ward to completion. He believes that Mr Koya is uniquely positioned to do this. In addition he has a deep under­standing of the tourism and hospital­ity industries in Fiji and what inter­national investors are looking for in developing new resorts. His long term involvement with in­vestors and their needs will be inval­uable for the growth of the business. Peter Mazey, chairman of the Board of Denarau Waters said: “Mr Koya is probably the only person in Fiji that can deliver what the Board was searching for. Mr Koya, a Nadi lawyer, was a long term minister in the FijiFirst Government. He held portfolios such as Tourism and Lands. He will be located in the Denarau Waters offices in the Port Denarau Commercial Complex, directly above Jacks retail store.